This design was commissioned by regular client RHR International, a renowned consultancy specialising in senior leadership development. 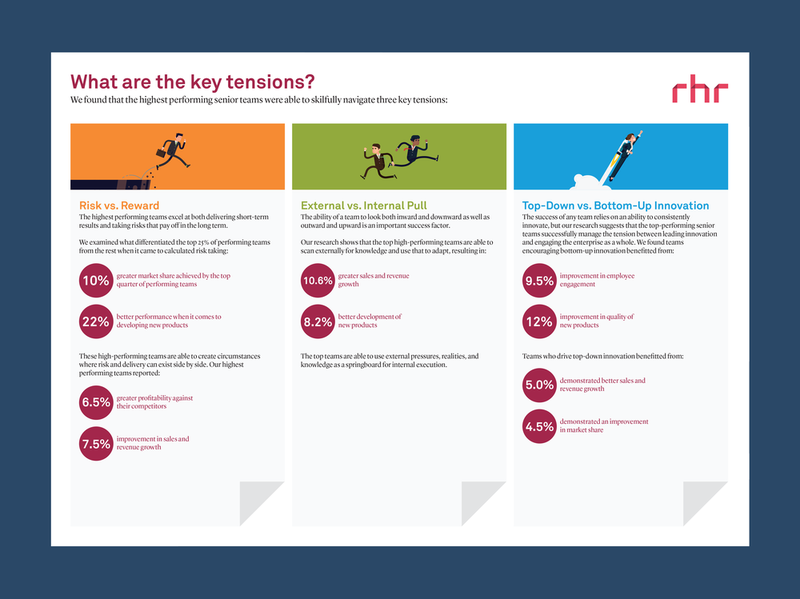 After having a superb piece of research published on Harvard Business Review, RHR wanted to reproduce the key takeaways of their research in the form of a handout, which could be distributed at events or left behind at client meetings. 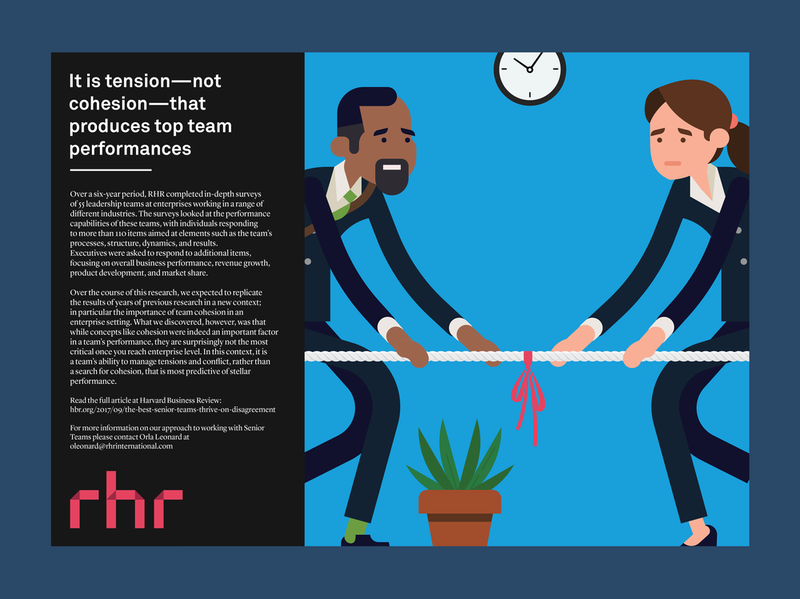 This double-sided A4 design communicates the key points of the research, while ensuring a high level of engagement with illustration and colour.